San Francisco was Marlie’s choice this year. She had studied it in school last year, each classroom learning about a different neighborhood and sharing what they learned with the other classes. I was inspired by a conversation with one of our guests from the dude ranch. She was on vacation with her daughter, they had left the rest of their family behind and were having an adventure all their own. Her daughter loved horses and chose the vacation they would spend together. Each year, this mother traveled with one of her three children; each child would have a trip of their own every third year. Inspired, I thought I would do the same with my girls. I first took Hannah to Portland, a simple trip to the Oregon Zoo and OMSI, the science museum, and two nights at a hotel filled with street noise and with lousy room service. My children are both in awe of room service, and will choose it every time over going out to a restaurant. The thought that a full meal will be delivered to our hotel room where we can eat sitting on the bed watching cable programs (which we don’t have at home) is heaven to them. At any rate, the quality of the food is not the point. We did manage to take in breakfast at the Heathman both mornings, which was a treat for us. And so it was that the next year was Marlie’s turn. At a fundraiser, I picked up a night at the Oregon coast in a silent auction; I’d add on another night for a weekend. But, somehow, time slipped away. Spring came and went, and the time was never quite right. Summer was out because of the workload at the ranch. Family summer vacations of our own were not a part of our existence. Fall surely would work, but no, either some other obligation was in the way, or I did not want to spend the money “right now.” Spring, again, still no coast trip with Marlie. Eventually, the certificate expired. Then it happened that my girlfriends were planning a fall trip to Tucson. One of them had just bought a vacation home there, and we would all go on the inaugural trip. Loving Tucson, I jumped on it. I bought my ticket immediately, and sunk into a dreadful realization. The money, the time, they were not an issue when it was about me. Marlie had stopped asking when we were going to take our trip. Appalled, I booked a fall weekend for the two of us in Portland. So began, after a bit of a rocky start, my annual girls’ trip alone with one of my children. San Francisco was Marlie’s choice this year. She had studied it in school last year, each classroom learning about a different neighborhood and sharing what they learned with the other classes. Her class studied the Mission district, with its Mexican influence and immigrants. Other classes studied other areas and immigrant groups: North Beach, China Town, Japan town. A wonderful melting pot to represent our county. 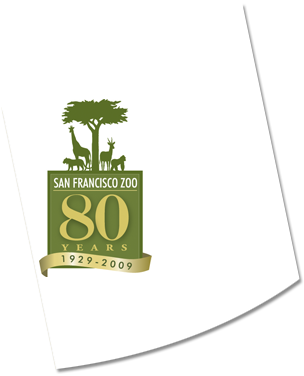 Our trip included the San Francisco Zoo, where we were astounded by the size of the lions. It was too windy to play on the beach there on the ocean side, the blowing sand was enough to remove paint. It was amazing that just over the highway, the zoo was only breezy. 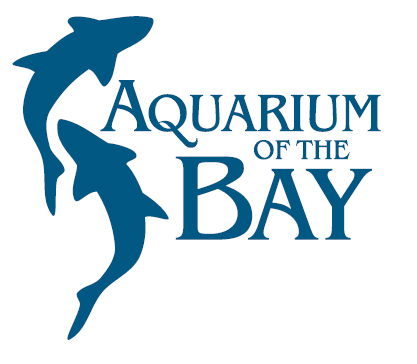 We visited the Aquarium Under the Bay twice. Marlie has told me for several years now that she wants to be a marine biologist when she grows up, and this passion remains unchanged. She loves the walk through tubes and watching the fish, but her favorite is upstairs, where she can touch the sharks and bat rays, and the attendants tell her all kinds of stuff about them. 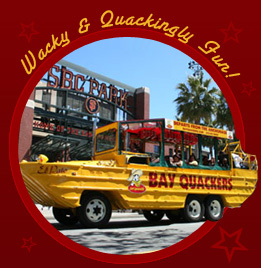 The Bay Quackers duck tour was enjoyable, although afterward Marlie wore the duck call they gave her for the rest of the trip, quacking her way through the zoo, aquarium, Alcatraz, and dinner at the Hard Rock Café. I had taken the duck tour in Boston visiting my friend Cindy, and thought it would be a hit for Marlie, and a good way for her to see some of the city sights. She didn’t get it when I explained it to her, but once we hit the water, she was hooked. The captain let her drive the boat in the bay, and I’m sure she’ll remember it forever. We used the public transportation while we were there, I neither wanted to make the eight hour drive or rent a car to circle around the city looking for parking. This worked out very well, finding the Hotel Griffon close to the Bart station, and taking the Muni to the zoo. This also gave us the unique cultural experience of riding the Muni with Aqualung and watching him pick his nose with a bobby pin and wipe snot on his clothes, all while staring at Marlie. Lovely. A fortunate coincidence, the Blue Angels were flying overhead every day on our trip. Marlie didn’t care much, but I found it really impressive. So our trip was made up of perfect weather, wonderful company, the ever favorite room service which brought us unusually great food, and having been able to give my daughter an experience she will remember forever.